Nothing will be handed to me. That's why I work so hard. Thank you for joining me on this journey! I really appreciate all the support that has been given to me. I wouldn't be anything without the love and the support of my fans. Thank You and God Bless! Hobbies: I love to hang out with my friends and play video games in my spare time. I am also a song writer and singer when i get the chance to actually sit down and do it. From Apopka, FL, a suburb of Orlando, Donald attended Apopka High School where he would enjoy success both on the football field and the track. 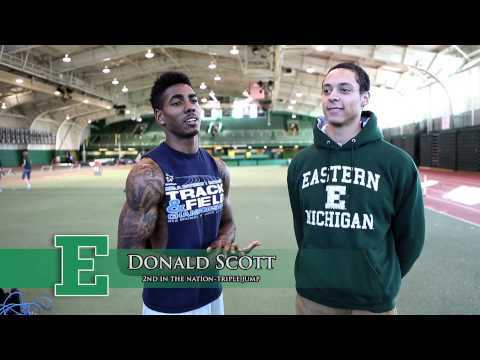 Once at Eastern Michigan University, where he earned a degree in Criminal Justice, Donald favored the jumping pit to the gridiron, and would rewrite the EMU record books. 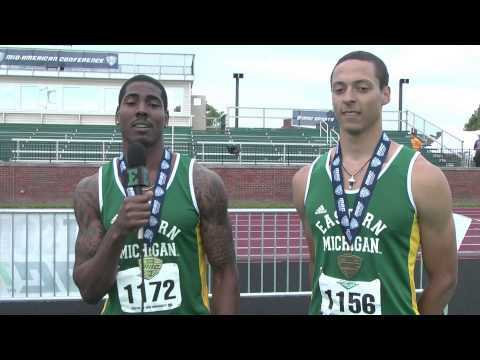 While competing for the Eagles, Donald brought home 9 MAC titles, 2 All-American honors, and set the MAC and school record for the triple jump. He also came away his senior year with an NCAA runner-up finish indoors, and a 3rd place finish outdoors for the triple jump. In his first season as a pro, Donald made a mark on the national scene, earning 8th place at the 2015 USATF Outdoor Championships. Donald started 2016 off on a hot note, earning a 4th place finish at the USA Indoor Championships. In 2017, Donald took 3rd at the Outdoor USA Championships, securing his spot on Team USA for the World Championships in London. Determination is Donald's game. He says, "I love what I do. 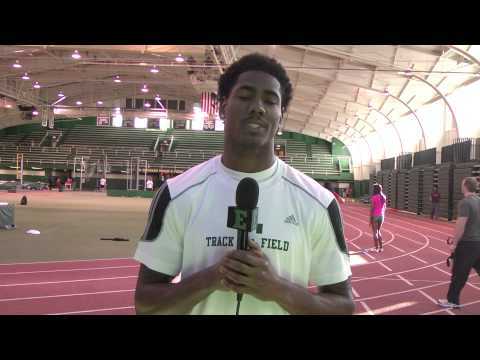 I am the only one in my family to graduate college and continue to chase my dreams in sports." The road was not an easy one; he grew in the child protective service along with his sisters, and says, "I'm very family-oriented and I want to make [my family] proud and also be able to take care of them."